Amazon has launched its own virtual currency, imaginatively named Amazon Coins, which will be used to purchase apps and items available inside apps from the Amazon Appstore. Amazon Coins will be an alternative payment method for customers of the store, no matter whether they’ll be using them to purchase doo-dads on the Kindle Fire or a regular Android device. 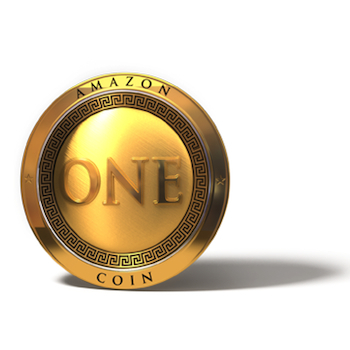 According to the FAQ, one Amazon Coin will be worth one cent, so if you’d normally pay $1.99 you’ll be expected to cough up 199 Amazon Coins. The new currency will launch in the U.S. this May, at which time Amazon says it will, “Give customers tens of millions of dollars’ worth of free Amazon Coins,” to get everyone used to using pretend money to buy content for their Kindle Fire tablets. At this time, there’s no word on when Amazon Coins will be made available elsewhere in the world, but as the company loves to give its products a thorough testing in the U.S. before any international launch, don’t expect it to be very soon. Apparently, Amazon Coins will be sold through your regular Amazon account, and to push you into using the virtual currency, expect all sorts of promotional opportunities telling you how great it is, such as offering bonuses or exclusives when Amazon Coins are used, or providing a better “exchange rate” if a particular item is purchased using Coins. Why? Amazon, just like Facebook and other purveyors of virtual currency or card-based loyalty schemes, loves the fact once the currency has been issued, it can only be spent in their respective stores. That said, virtual currency can be used responsibly, and it’s popular with parents who want to limit their child’s spend on apps and in-app purchases. The slightly unpleasant flipside of virtual currency used this way is it can feel “easier” than spending real money, and it’s no coincidence that Amazon has recently given developers the option of adding in-app purchases to not only Android and Kindle Fire games, but also those built for PCs, Macs, and the Web. At the moment, Amazon Coins are only applicable to the Amazon Appstore, but expect this to change in the future as the model could easily be adapted for Amazon’s music and on-demand video stores. Developers are being prompted to update their apps, indicating which items can be bought using Amazon Coins, by April 25. This way they’ll be in with a chance of inclusion in Amazon’s promotional activities when the Coins are issued in May. So, expect your favorite apps to be stuffed full of even more annoying in-app purchases very soon. How does Amazon Prime Now work?